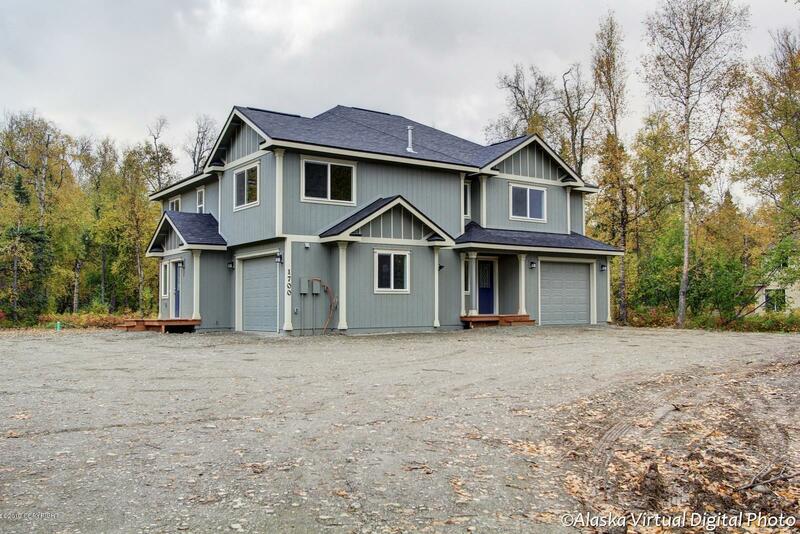 1945 W Lake Lucille Drive, Wasilla, AK.| MLS# 19-5281 | Mossy Oak Properties | 907-357-5100 | Wasilla AK Homes "For Sale" Alaska Businesses "For Sale"
New Construction Duplex, to be Custom built by Premier Valley Homes Inc. Each unit features 3 BR/2.5 BA and a 1 car garage. Main level has an open layout w/upgraded kitchen cabinets, glass mosaic backsplash, pantry & SS appliances, LVP throughout. Large master bedrooms w/walk-in closets & their own bathrooms, conveniently located in Wasilla across the street from Lake Lucille!